Professor Petros Iosifidis has been appointed by the Greek government to advise on media issues. The academic, in the Department of Sociology at City, will provide expertise to the Greek Committee of National Communications Policy (SEEP). During the next three years, Professor Iosifidis will advise on a broad range of subjects, including national media strategy, digital media launches, broadcasting licenses and journalistic freedom. He said: “I’m thrilled to be appointed as advisor to the Greek government on media and communication issues. “As the Greek media landscape is going through unprecedented technological, economic and social changes, policy makers and regulators need to design and implement a suitable regulatory framework that would both allow media companies to develop and meanwhile promote social goals such as media pluralism, cultural diversity and freedom of expression. “My new role will provide me with an opportunity to propose appropriate policy actions to achieve the above objectives." The role will require Professor Iosifidis to attend regular meetings in Athens. It comes after the academic, a Professor of Media and Communication Policy, published a paper on the Greek media that concluded it was facing an “acute crisis”. 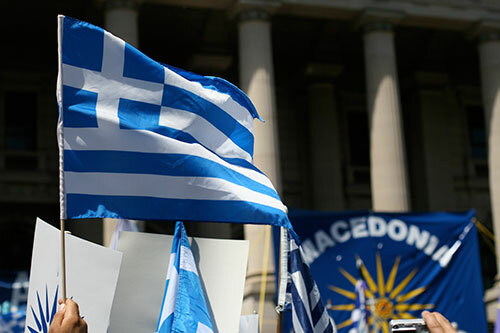 According to his study, which involved in-depth interviews with journalists, lawyers, academics, trade union representatives and other Greek media experts, the “intertwining” of powerful politicians and the media has severely damaged press freedom and independence in the country. Professor Iosifidis wrote the paper with Dr Dimitris Boucas, of the London School of Economics and Political Science, for the Open Society Foundations’ Independent Journalism programme.